This pathway provides guidance for imaging adult patients presenting with swallowing difficulties, with emphasis on the respective roles of endoscopic and radiological investigations. 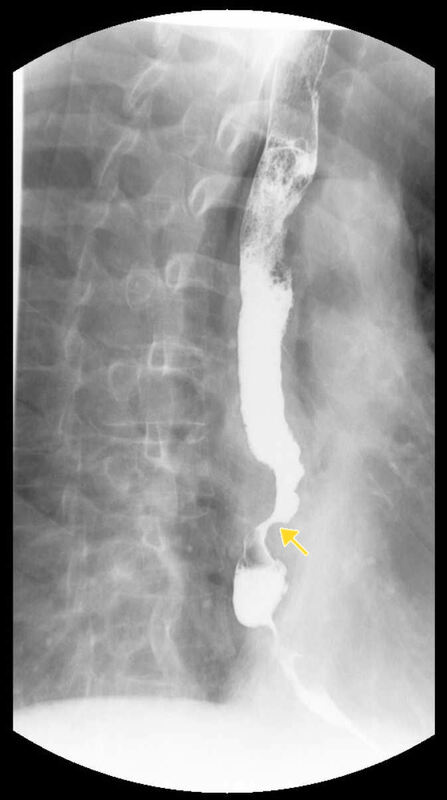 Image 1 (Barium Swallow): Hiatus hernia with a benign oesophageal stricture (arrow). 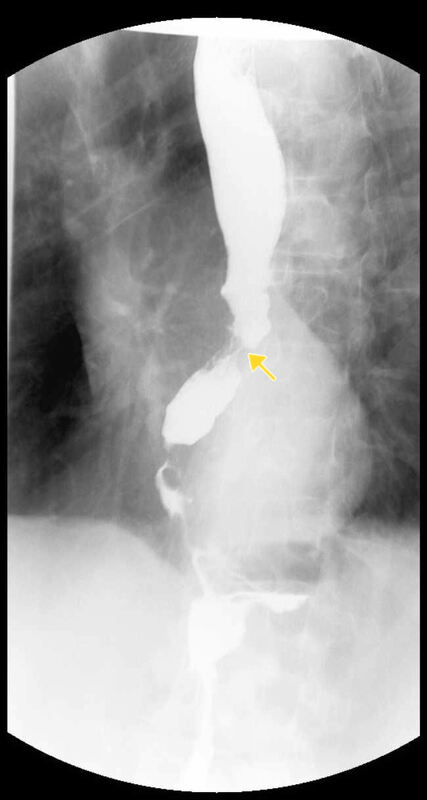 Image 2 (Barium Swallow): Rounded lesion in the mid oesophagus, characteristic of a leiomyoma. 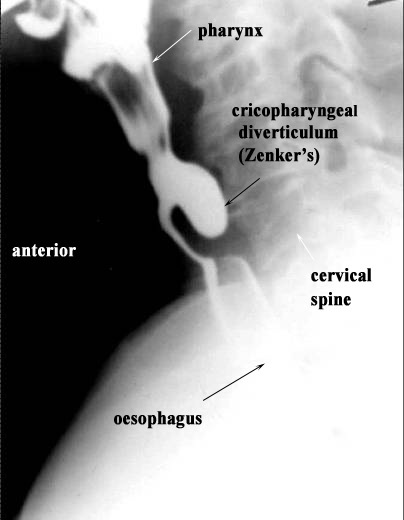 Image 3 (Barium Swallow): Demonstrates a cricopharyngeal diverticulum (Zenker's). 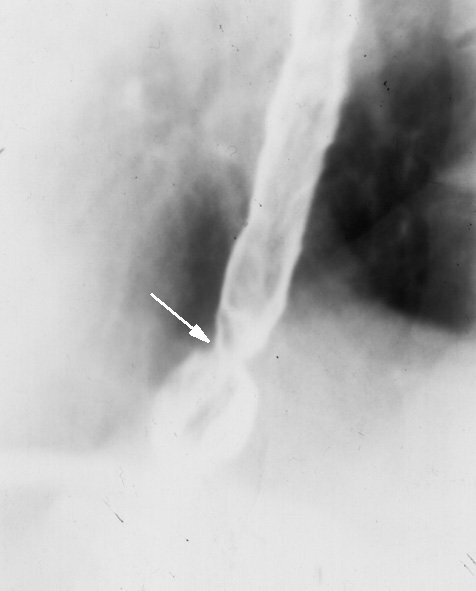 Image 4a and 4b (Barium Swallow): Malignant stricture located at the junction of the middle and distal thirds of the oesophagus, over a length of 2-3cm (arrow). Immediately distal to this is a segment of normal calibre oesophagus, followed by a further segment of narrowing immediately proximal to the gastro-oesophageal junction which has herniated above the diaphragm. 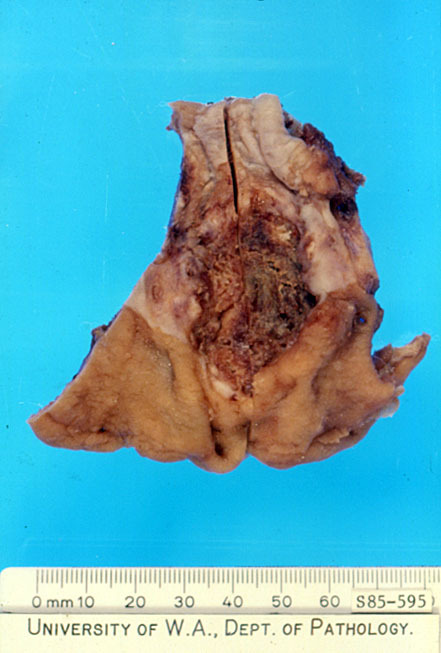 Image 5a: Arising at the junction from the oesophagus and stomach is a large ulcerating tumour with heaped-up edges and central necrosis. 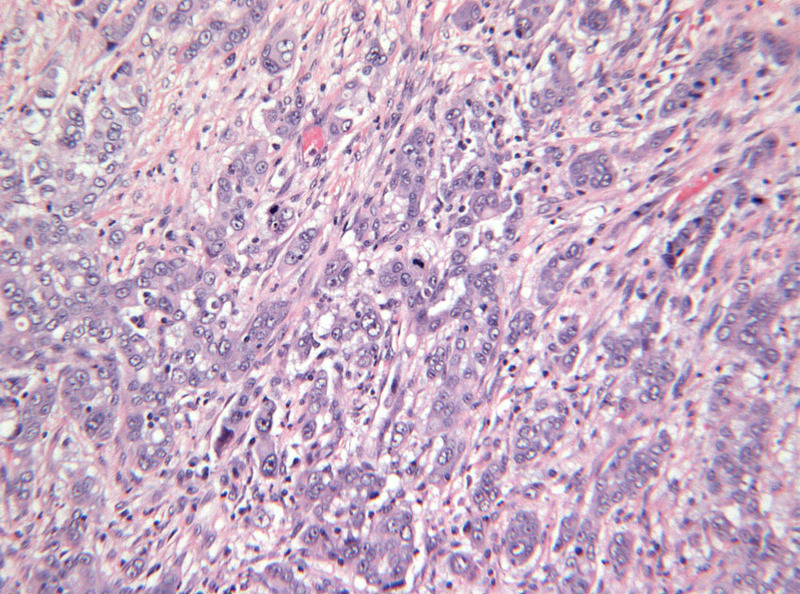 Image 5b (H&E, x2.5) and 5c (H&E, x10): Histological sections of a poorly differentiated squamous cell carcinoma of the oesophagus. There are sheets and nests of malignant squamous cells infiltrating through the oesophageal wall. 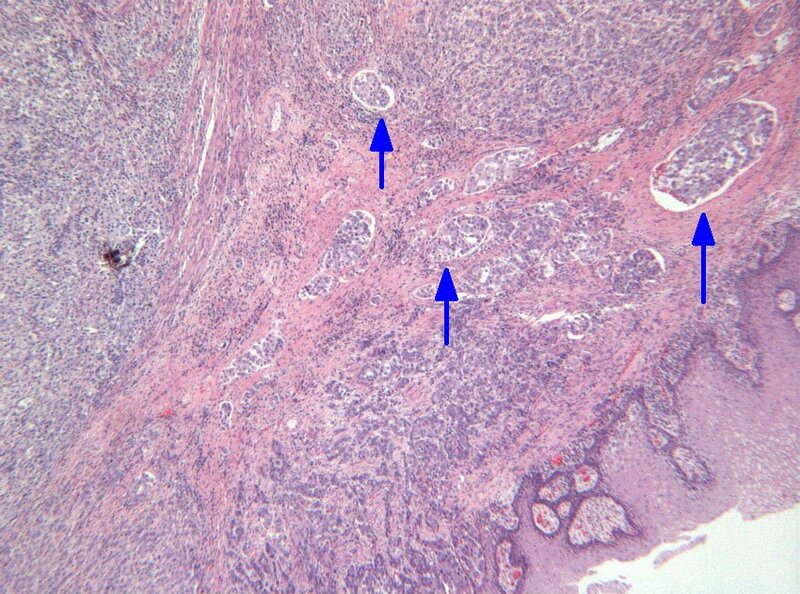 Note the extensive lymphovascular space invasion (arrows). The cells demonstrate marked nuclear atypia with frequent mitotic figures at high power. Image 6a and 6b (Barium Swallow): Demonstrates a dilated oesophagus with an air fluid level. There is intermittent opening of the gastro-oesophageal junction due to cardiospasms. The delayed film (Image 6b) shows persisting residue in the oesophagus.